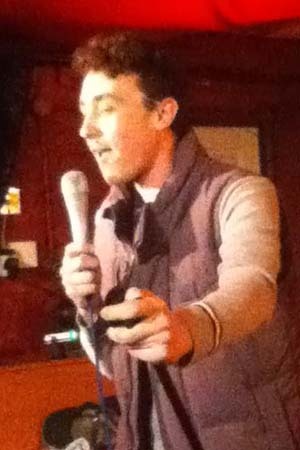 George Rowe is an Essex based Stand up who performs all over the UK. He has been performing since March 2011 and has over 150 gigs under his belt. His style is a unique brand of comic story telling which see’s him out of place and out of luck in many relatable real life situations. George was also a finalist in NATY’s 2012 (formerly Hackney empire new act of the year) as well as being a Quarter finalist in the Laughing Horse New act of the year 2012. He has worked alongside such comedy greats as Felix Dexter and Trevor Lock. Click on the link below to get a taste of George’s unique stand up story telling style.